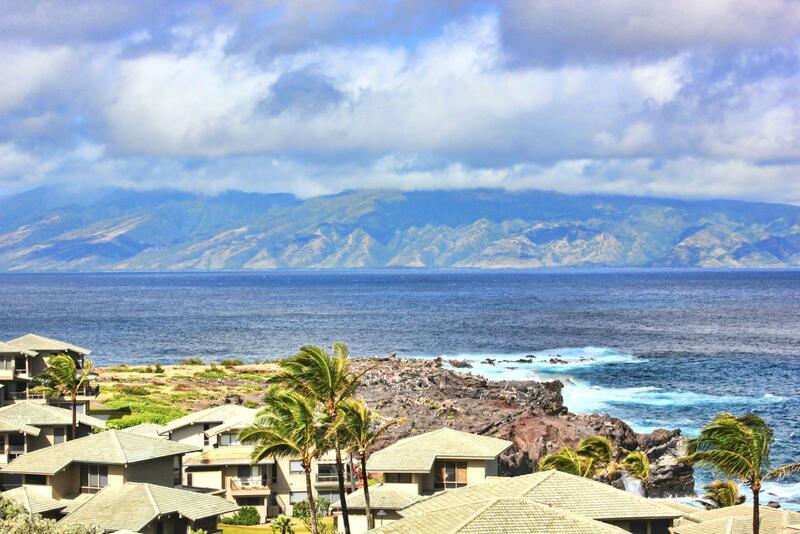 Views of Molokai are endless and when the whales are jumping you are going to spend the days just watching them play from this private villa. 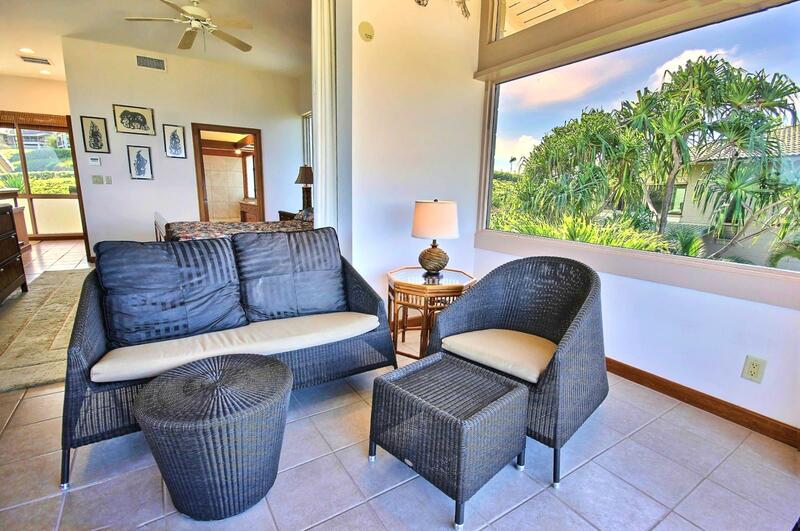 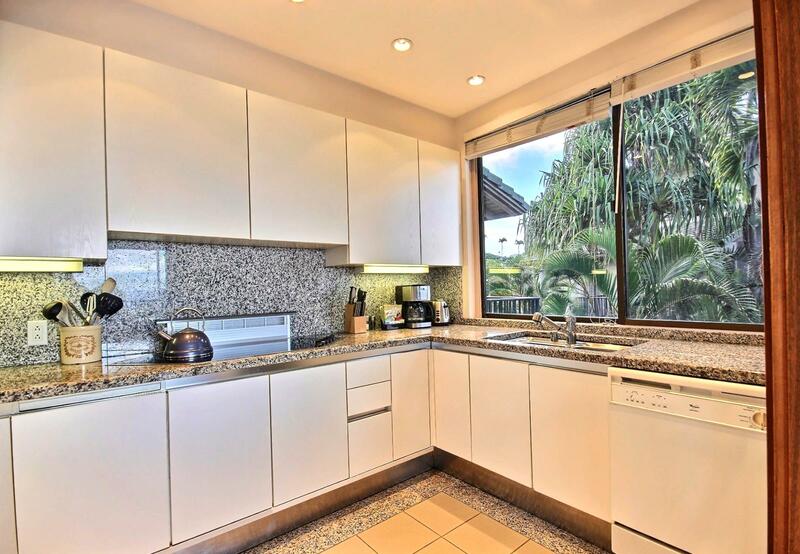 Along one of the many viewing areas in this large 2 bedroom, 3 bathroom Ocean View Villa. 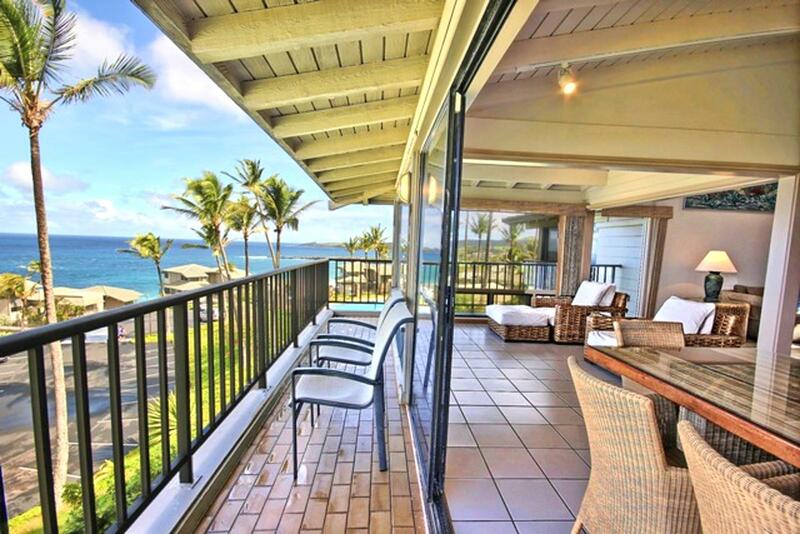 Pool and ocean views from all the windows. 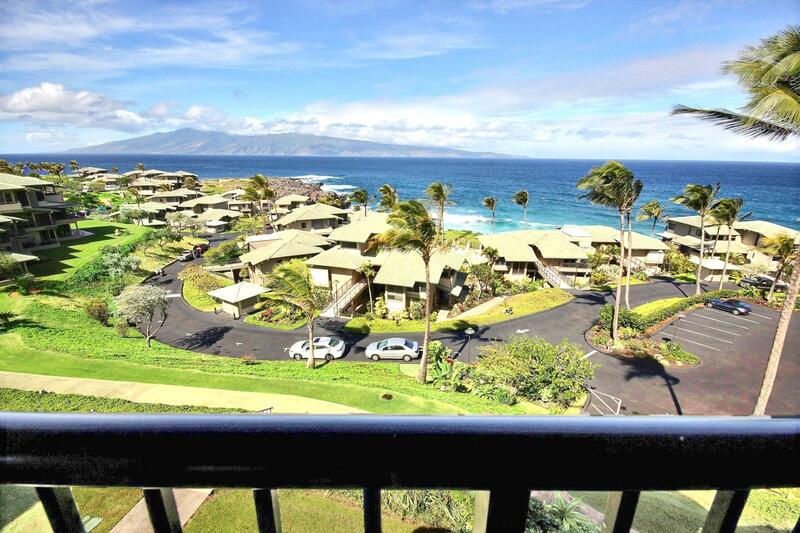 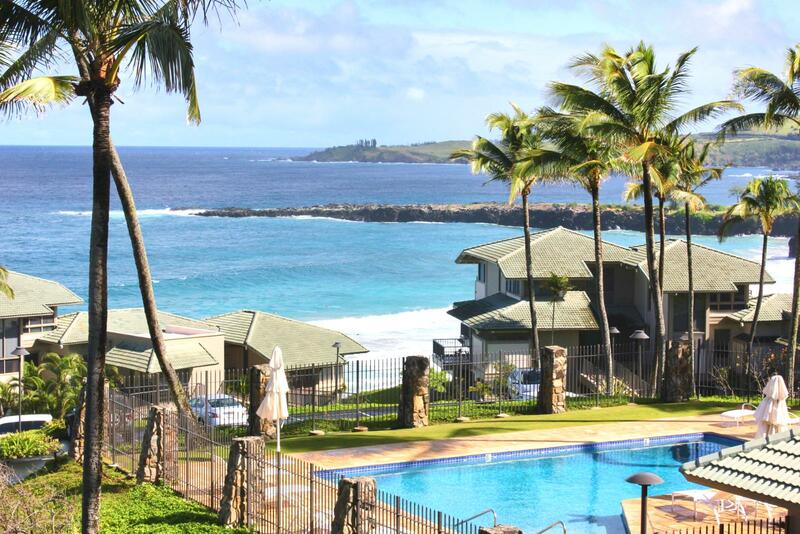 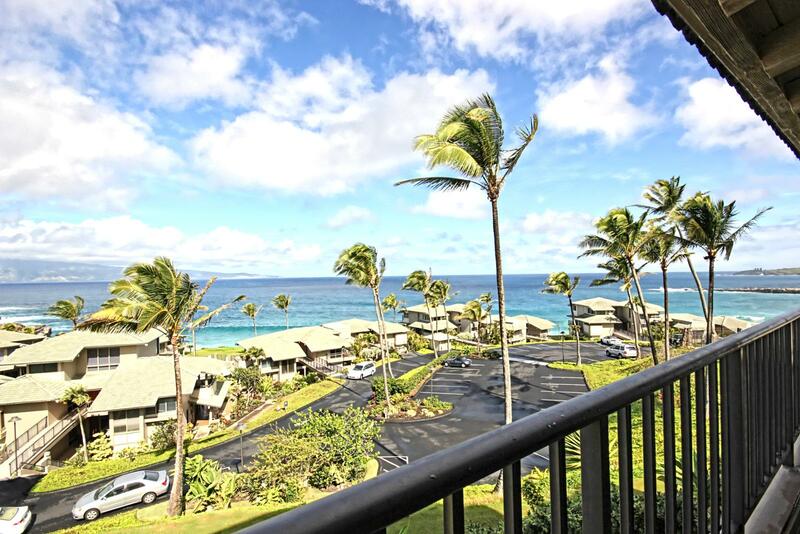 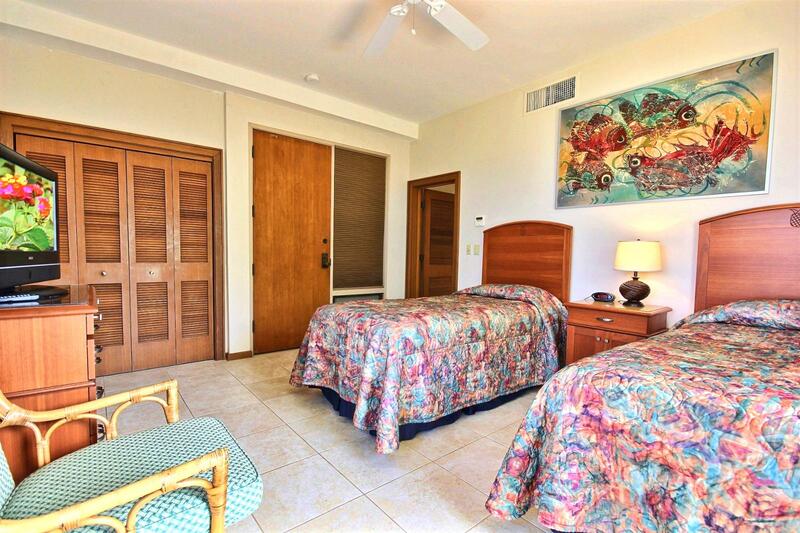 Welcome to Kapalua Bay Villa 15B1. 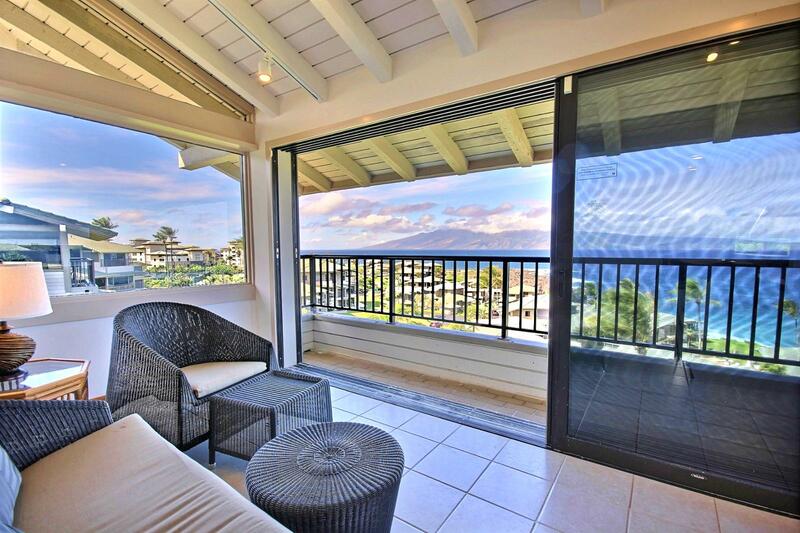 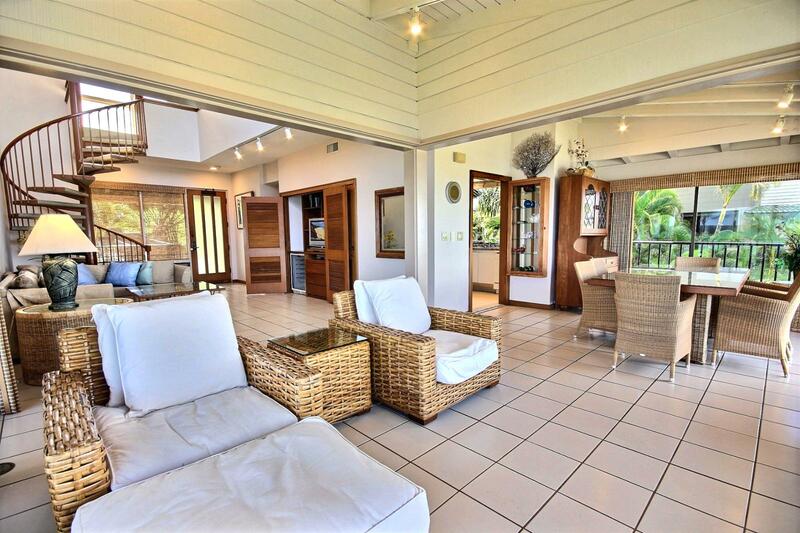 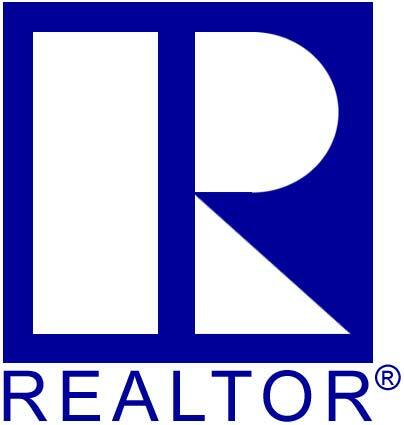 This fabulous 2 bedroom and 3 bath villa with endless Ocean Views. 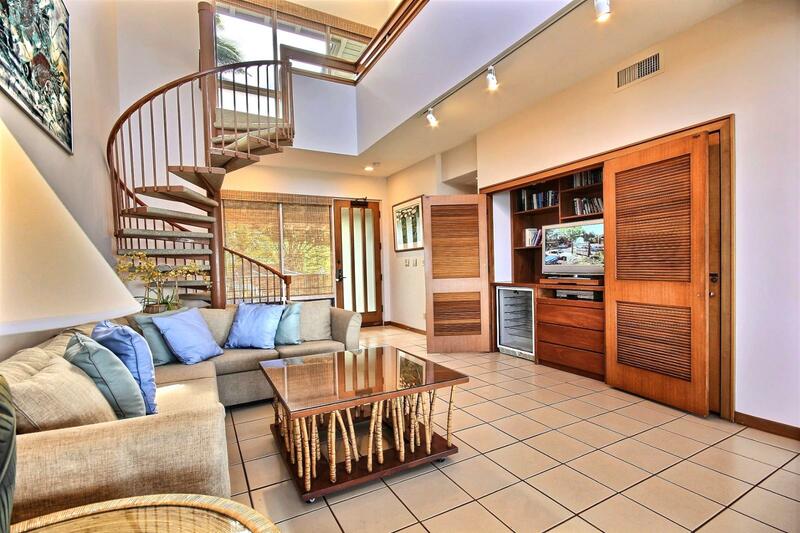 Living room with all the comforts of a large L shaped sofa that also converts into a sofa bed. 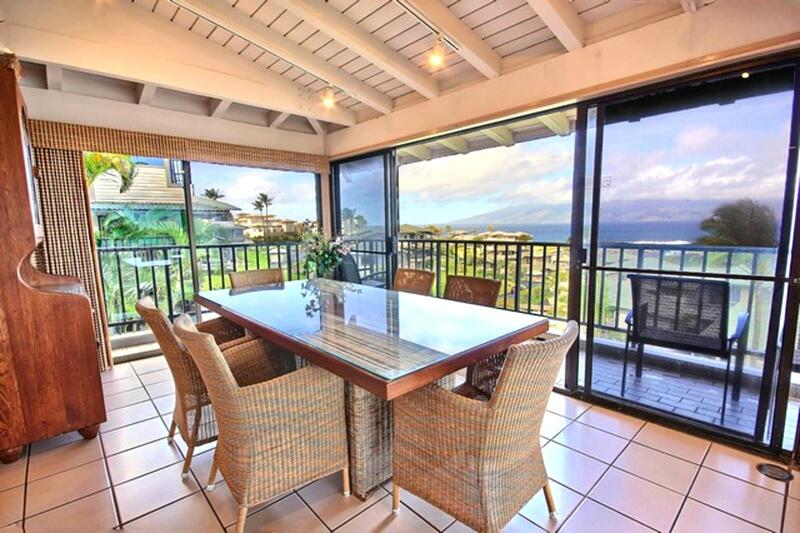 Formal dining room with amazing views. 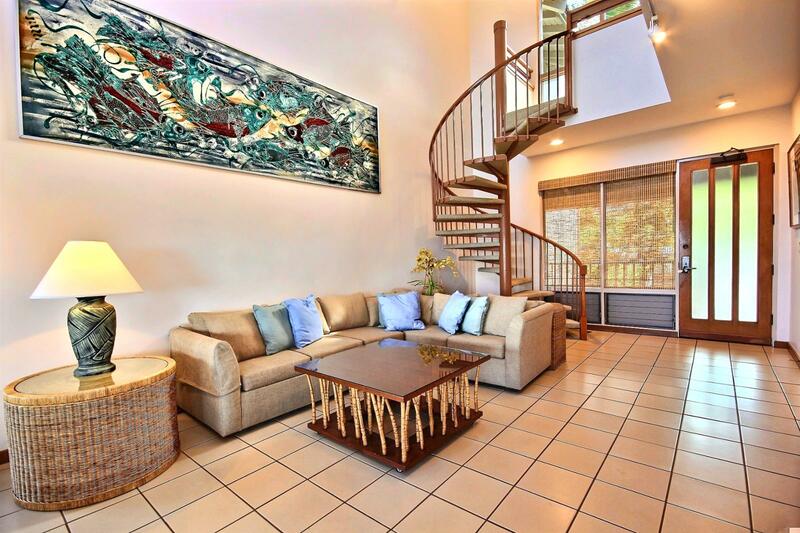 Custom art work throughout this lavish villa. 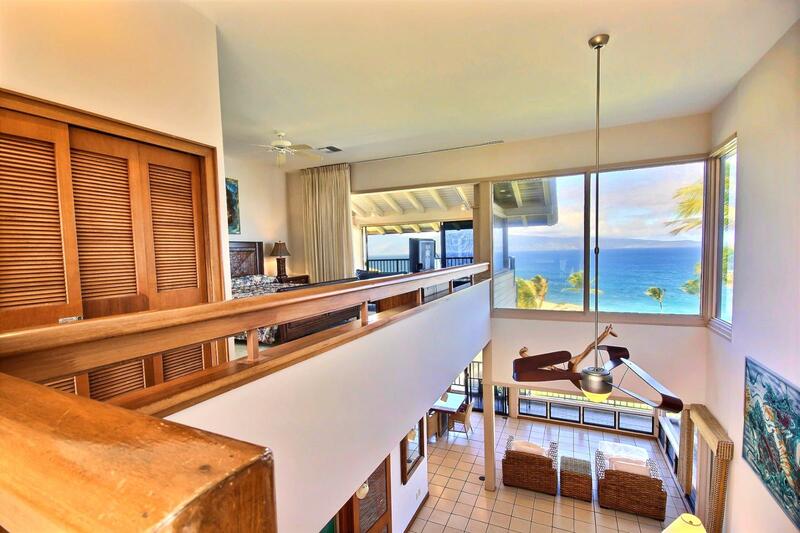 Large open spaces to enjoy in comfort with views from every window. 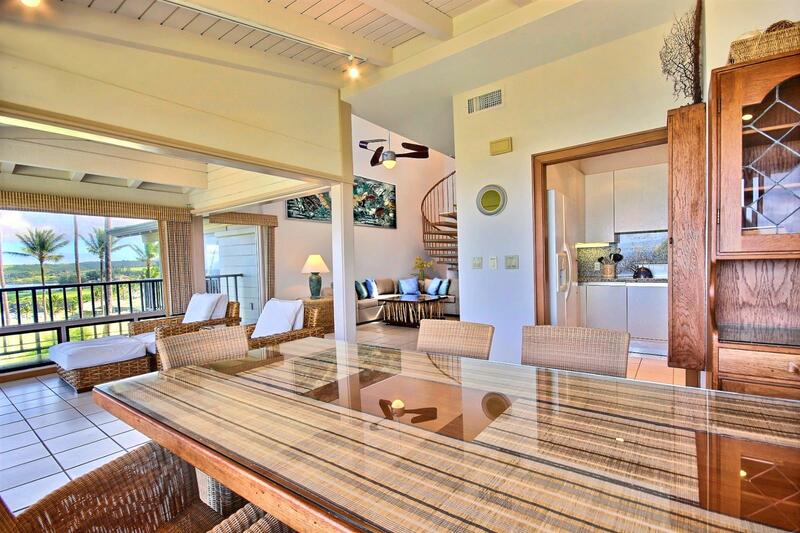 Looking across the formal dining table. 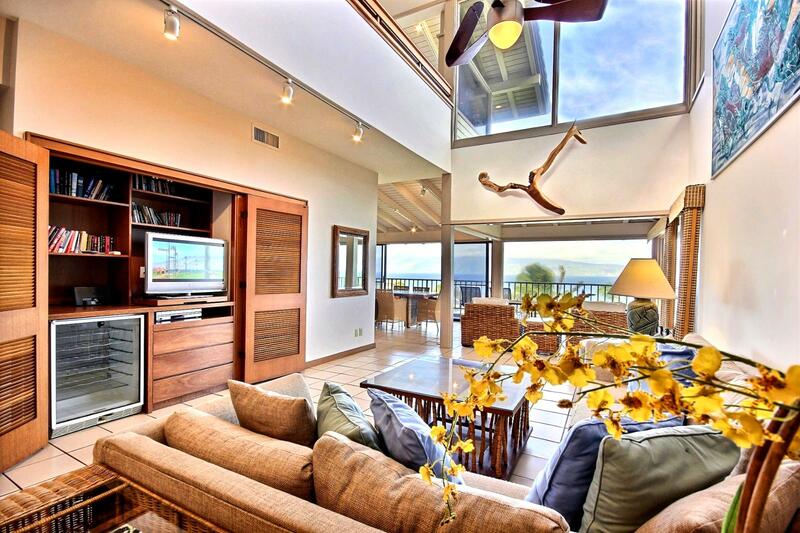 Looking across this large living room with 20+ foot ceilings. 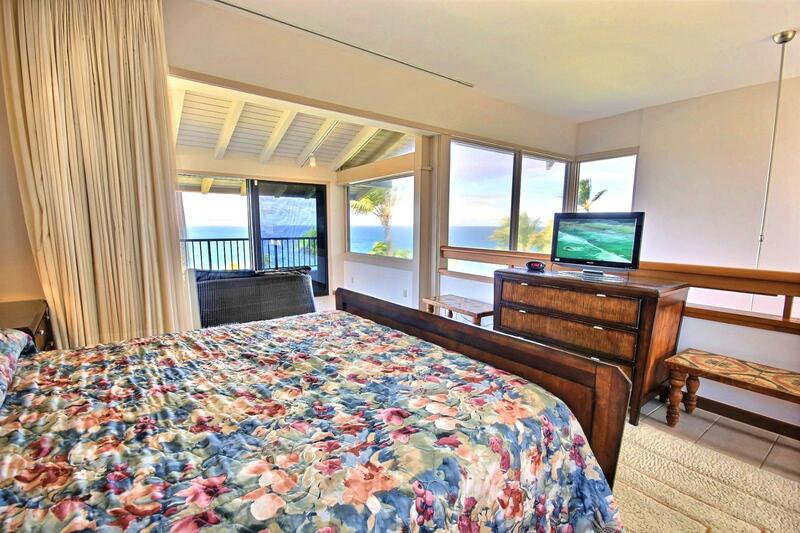 Looking out from the master bedroom at the amazing ocean views. 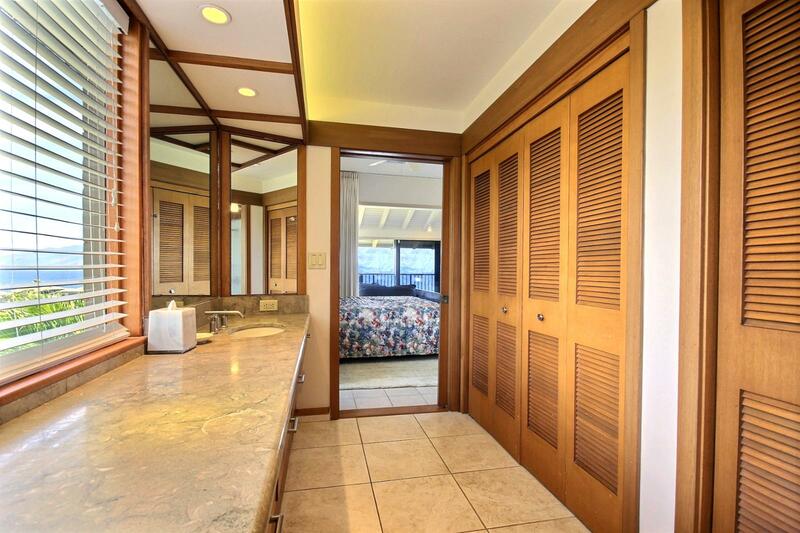 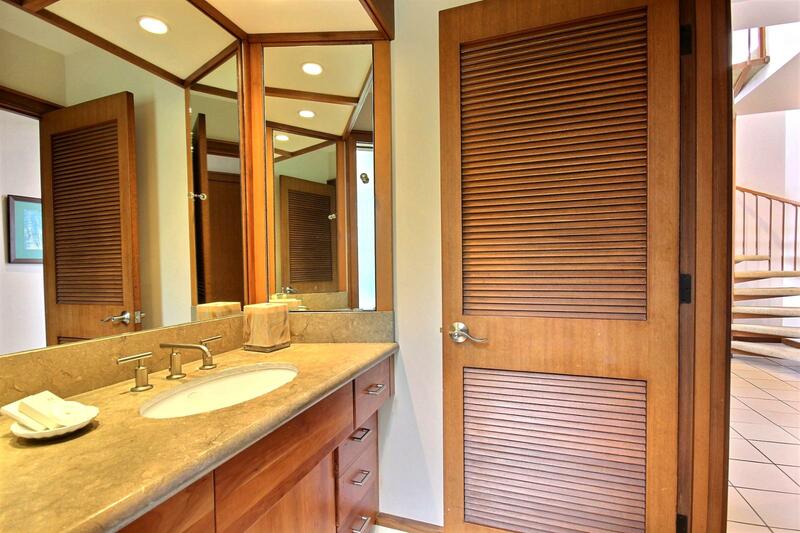 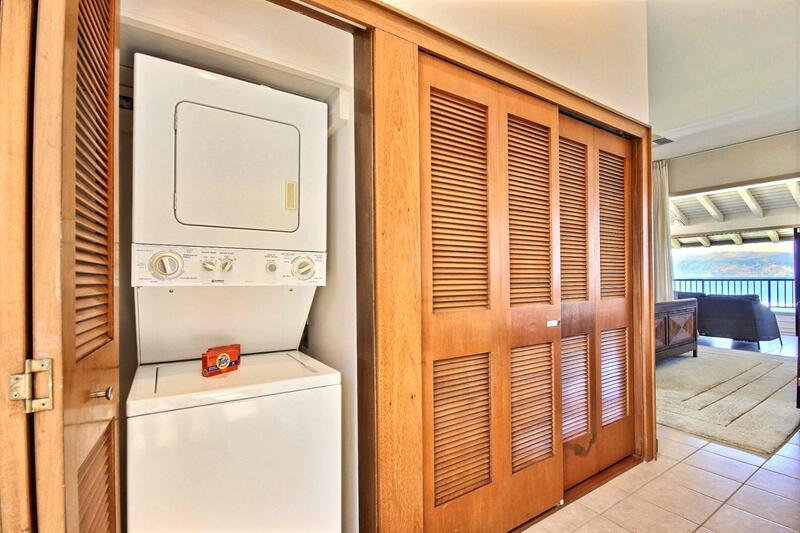 Large master bathroom with plenty of counter space and closet space for two. 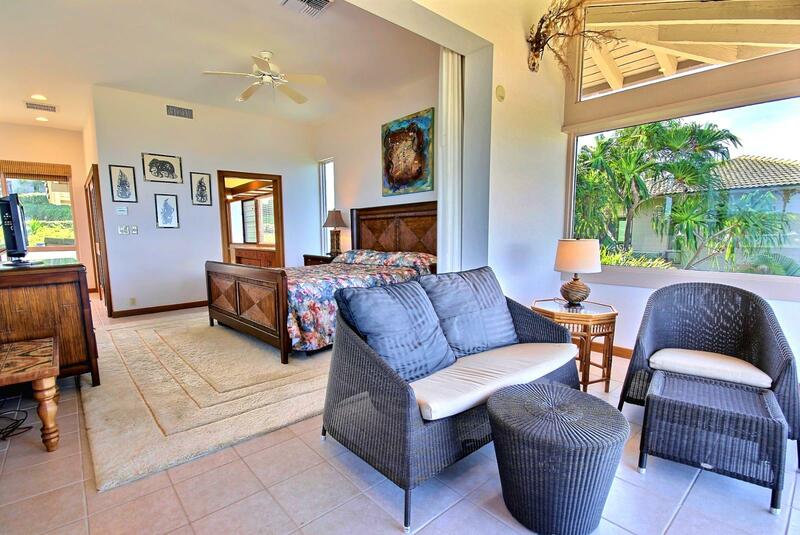 Looking into the master bedroom from the private sitting area. 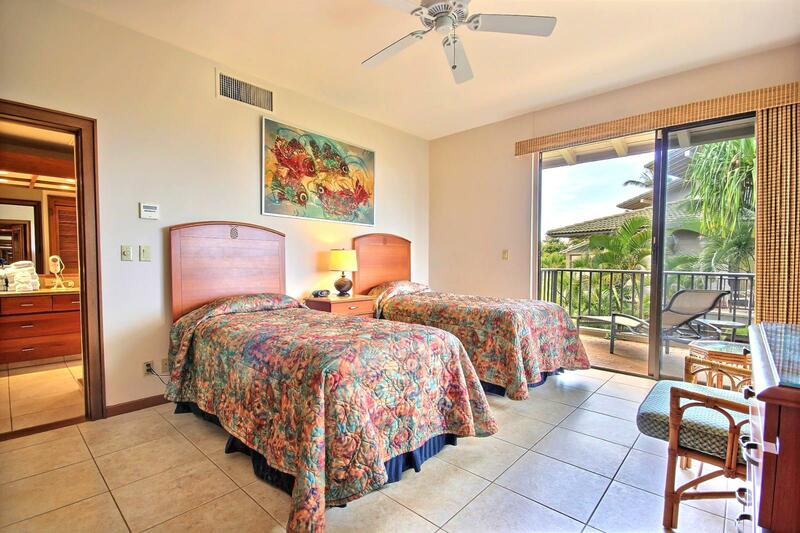 Large King size bed with an amazing view. 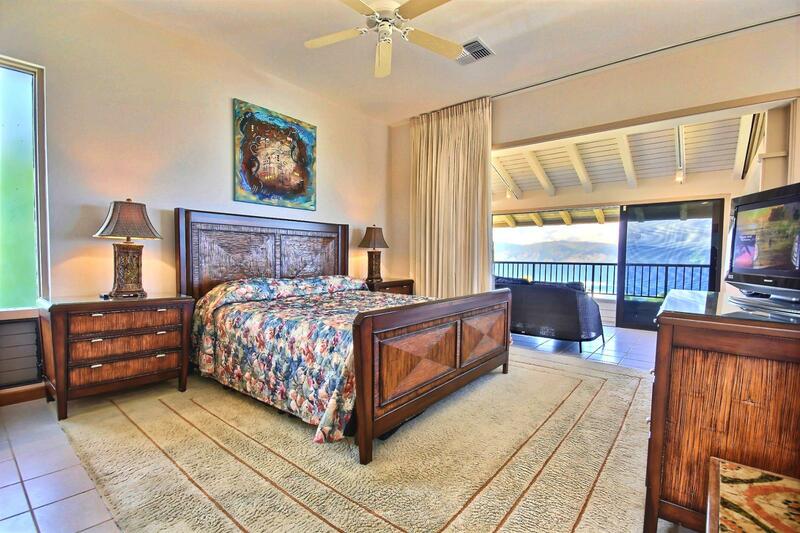 Wake up and enjoy Ocean Views throughout this villa. 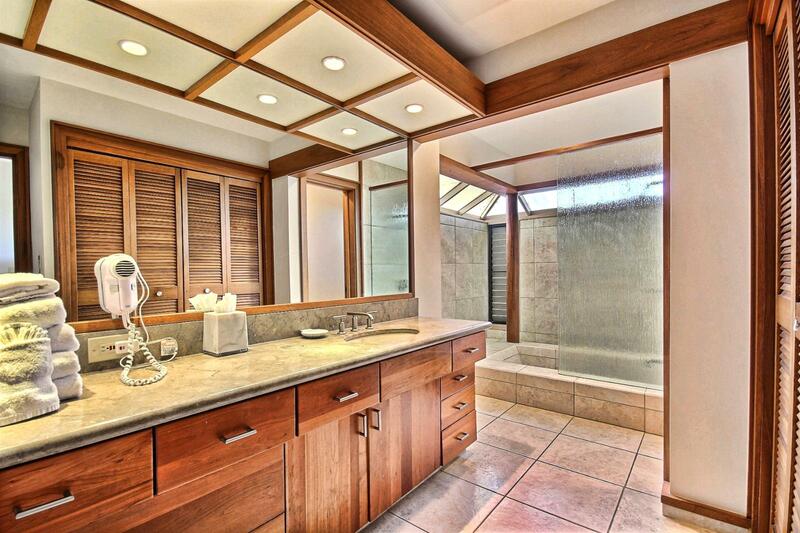 Large guest bathroom with sunken shower. 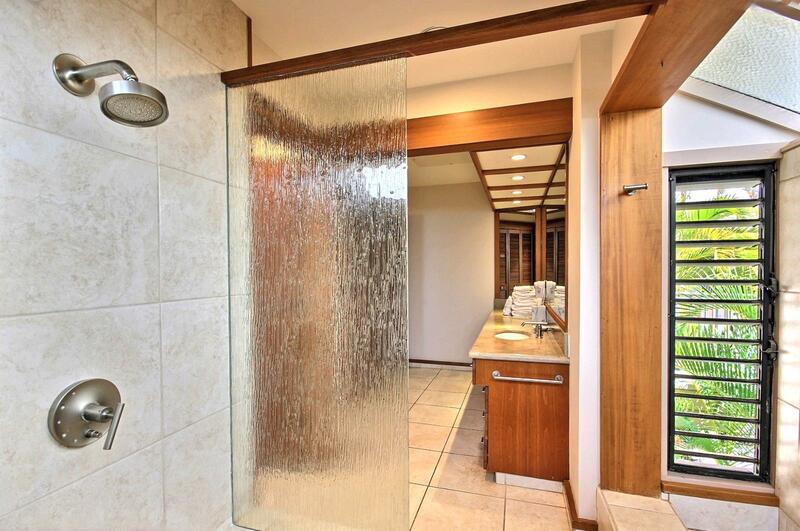 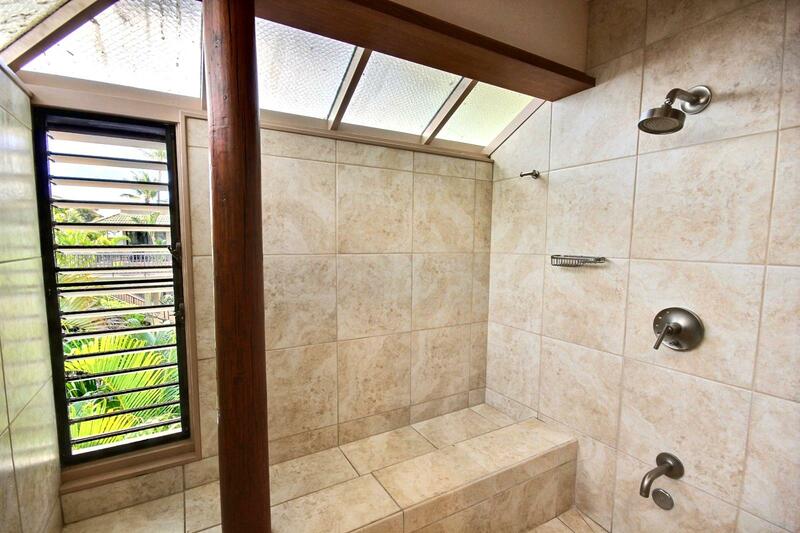 tastefully updated shower with custom tile throughout. 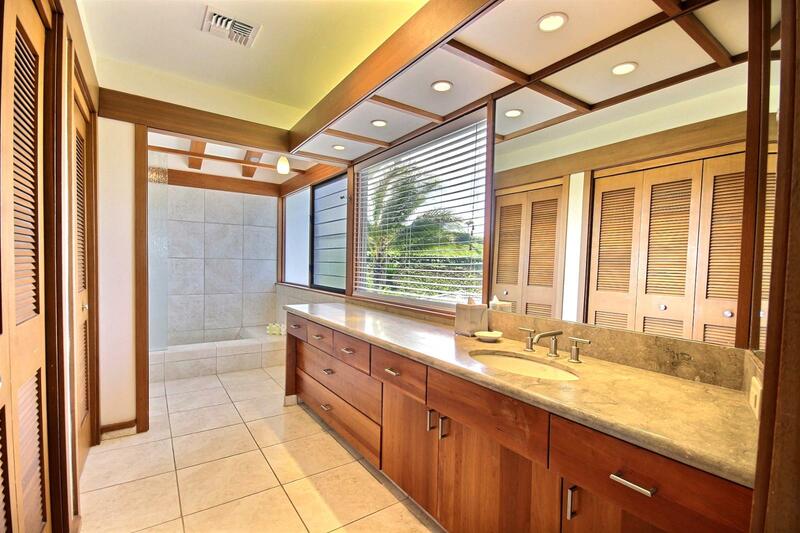 Plenty of counter space to use in this guest bathroom. 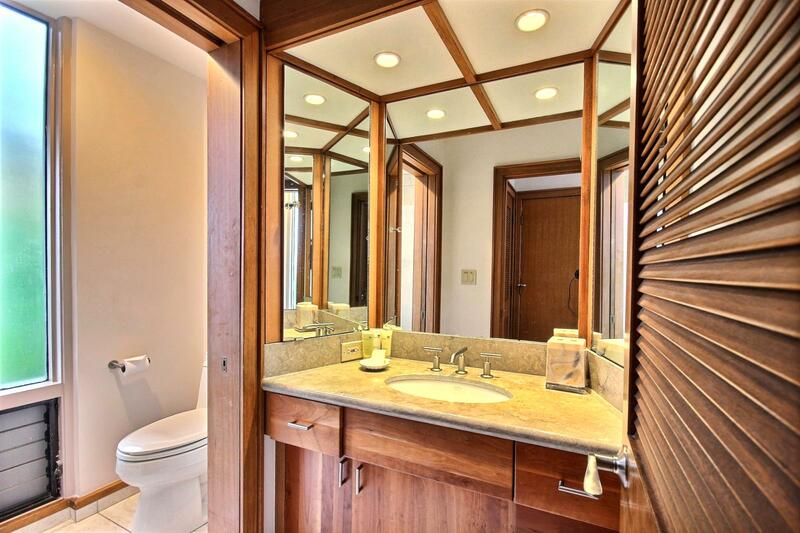 Unit is set up as twins but can be converted into a King with just a request. 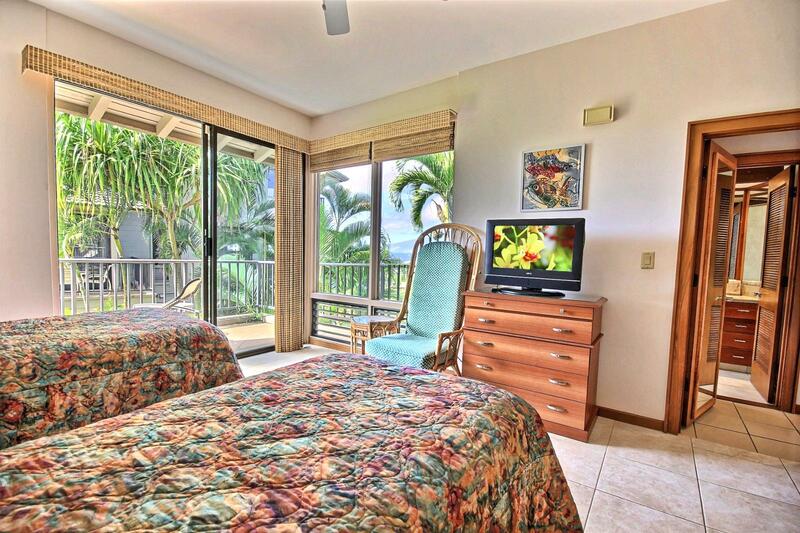 Very comfortable with a flatscreen TV for your enjoyment. 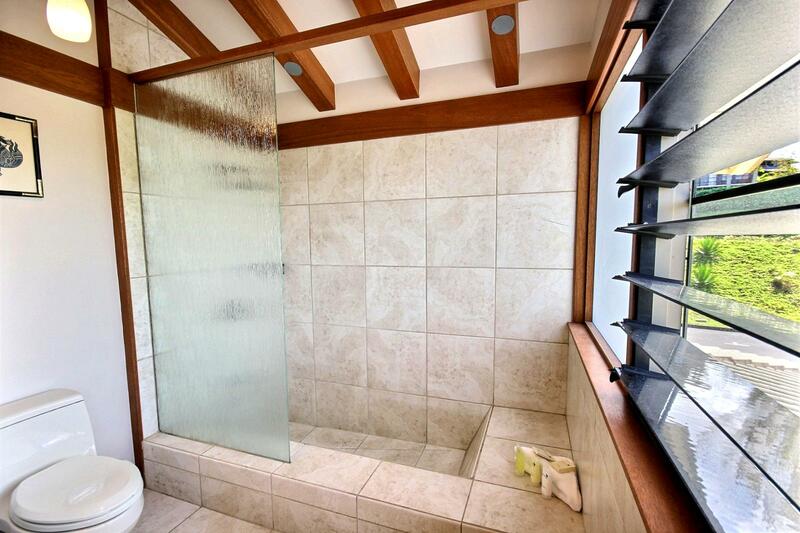 3rd bathroom located off the living room with it&apos;s own shower.